Just under two months ago, the American Red Cross released a genuinely impressive app called First Aid. As you'd guess from the name, it's an app dedicated to helping you through medical emergencies; what you wouldn't guess from the name is just how good of an app it is. - Step-by-step instructions let you know what to do even if the cell towers are down and the power is out. - Monitor weather conditions in your area or those of loved-ones with location-based alerts for the U.S. and its territories from the National Oceanic and Atmospheric Administration(NOAA). - Let family and friends know you are okay with the customizable “I’m Safe” alert for Facebook, Twitter, email and text. 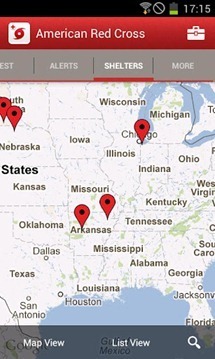 - Find open Red Cross shelters in your area when you need help. - Stay safe when the lights are out with the Hurricane Toolkit, including a strobe light, flashlight and audible alert functions. - Prepare for the worst by learning how to assemble an emergency kit for your family in the event of power outage or evacuation. - Empower your family to stay safe and remain calm in an emergency by learning how to make and practice an emergency plan. 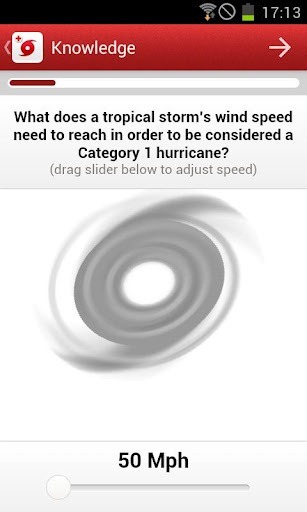 - Earn badges that you can share with your friends and show off your hurricane knowledge with interactive quizzes. 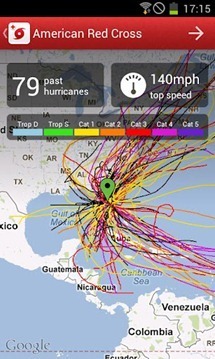 - See an illustrated history of hurricanes in your area. - Learn the difference between a hurricane warning and watch. - Know how to what to do about food and drinking water when your area has been impacted by floods and power outages. Not only is the app well-designed and highly functional, but it's free of ads and comes in at the low, low price of $0.